My story of the 2007 trip begins on Thursday the 14th of June. I finished work on the previous Friday as usual and was looking forward to a good two weeks off, a week before Le Mans and the best part of a week afterwards. I did most of my packing on the Wednesday, and finished off that and my camera preparation on Thursday morning. I had of course met with Ian, the Chief Tourist a couple of times before the week of the trip, and we had discussed who would be coming this year and the general arrangements. I already knew that it was going to be a much larger group of Tourists this year. The six of us who had been to Le Mans for the previous two years would be back again of course, and this year there would be four others who had been on the trip before in previous years. Additionally, there were to be three Le Mans 'virgins'. So, Ian, Robert, Martyn, Alan, Jeff and myself were to be joined by Jim (94, 95, 96, 97 and 99), David (02 and 04), John (86, 02 and 04) and Nick (94, 96 and 02). The three 'newbies' were Jeremy, Jonathan and Brian. So this was the second largest group of Tourists since I first went to Le Mans in 1986 - the largest being 14, in 2002. (Let me bore the non-Tourists (and probably most of the Tourists too!) now with some stats. During the Le Mans weekend, someone asked me how many Tourists had taken part in these trips. Now I can only comment on who has been to Le Mans since I first went in 1986, but yes, I do know who attended in all the years I've been. For the 22 years from 1986 to 2007, a total of 41 Tourists have made 178 appearances! What is perhaps surprising is that so few have attended over so many years. In fact, since 1996 only 14 people have become Tourists for the first time. (I’ve even put on my large size Le Mans anorak and posted a link to all the details – you'll find it at the bottom of the page). 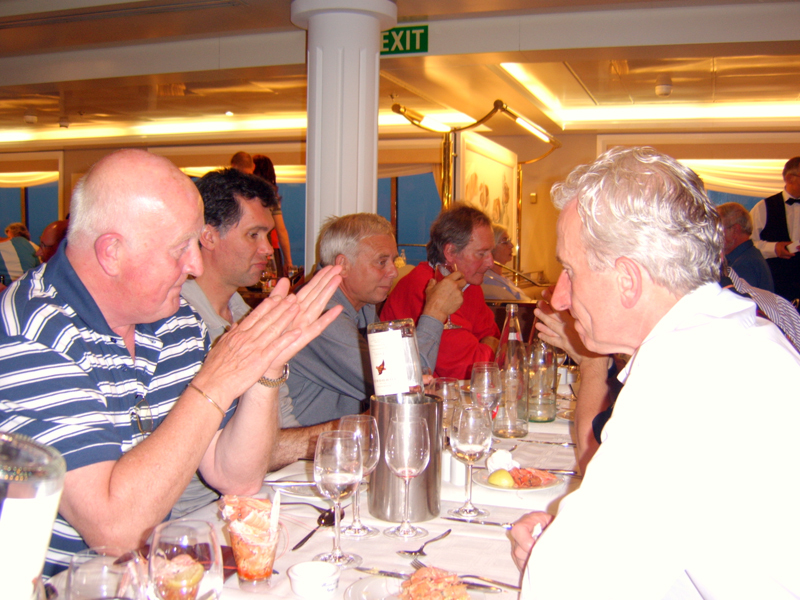 In fact, although there would be 13 of us, only 11 were travelling from Portsmouth on the first evening as John and David were otherwise engaged and would not be travelling to France until Friday evening arriving on Saturday. And so it was that I left home around five o'clock on the Thursday evening for the usual rendezvous at Ian's home. The traffic was quite heavy on the way, and by the time I arrived, most of the others were already there and we were just waiting for Jeremy, Brian and Nick. We were taking three cars over driven by Ian, Martyn and Nick. 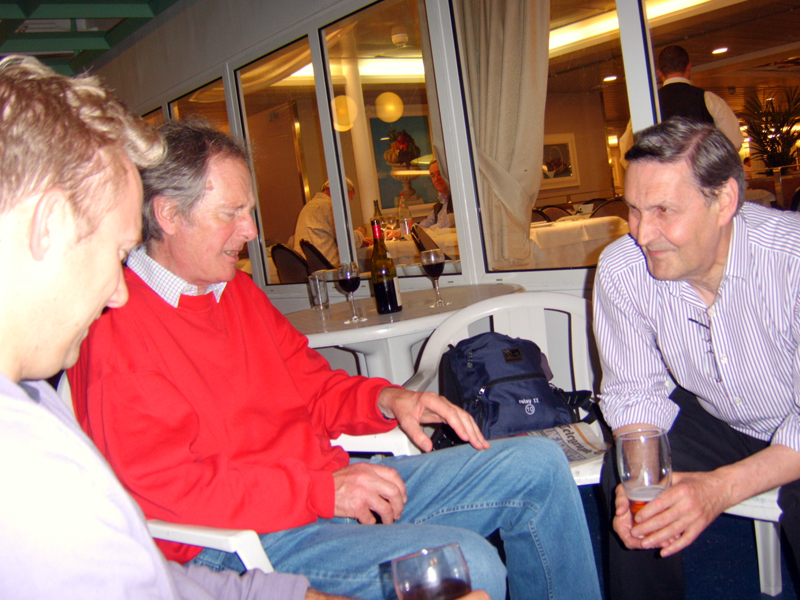 John would be bringing his car over on Friday night, and he and David would join us at the circuit on Saturday. 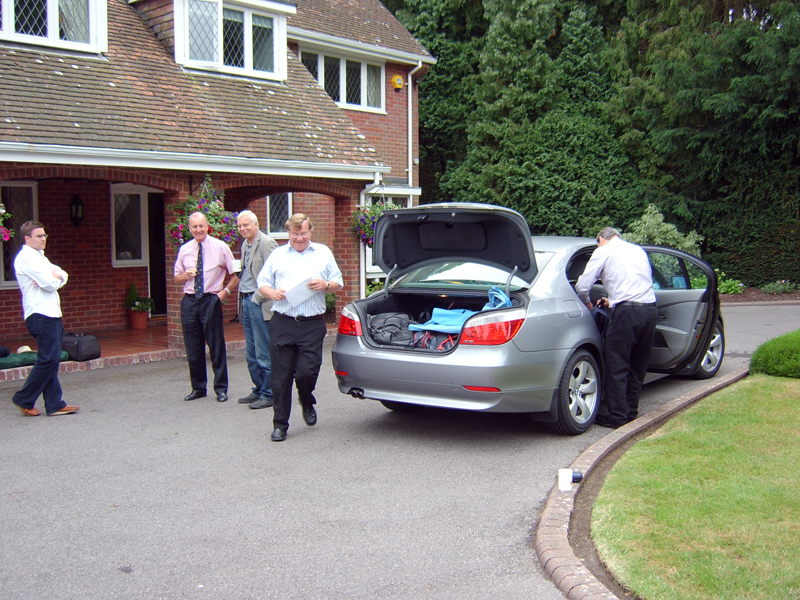 Before long, all 11 of us were present and correct and we started packing our bags into the boots of the various cars. 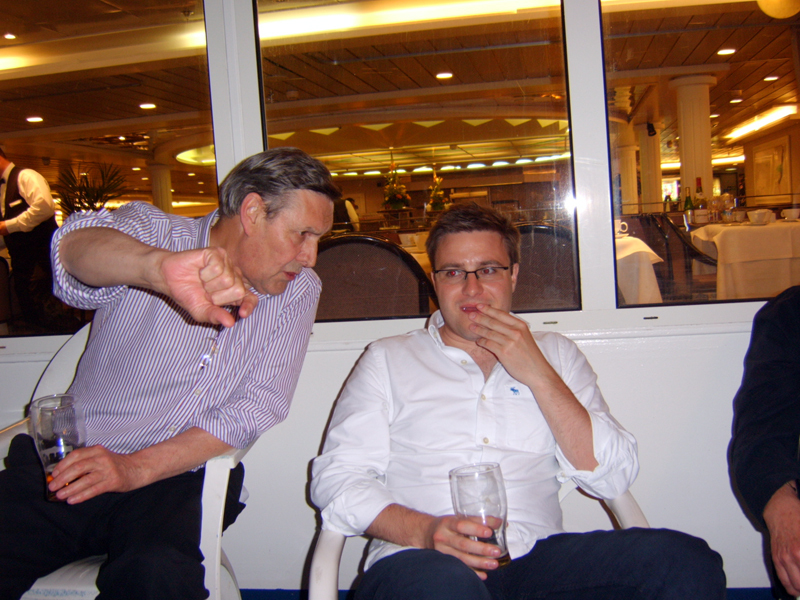 For a number of years it was my habit to travel with Martyn, as we were both smokers and even though we both quit in 2004, the habit (travelling not smoking!) 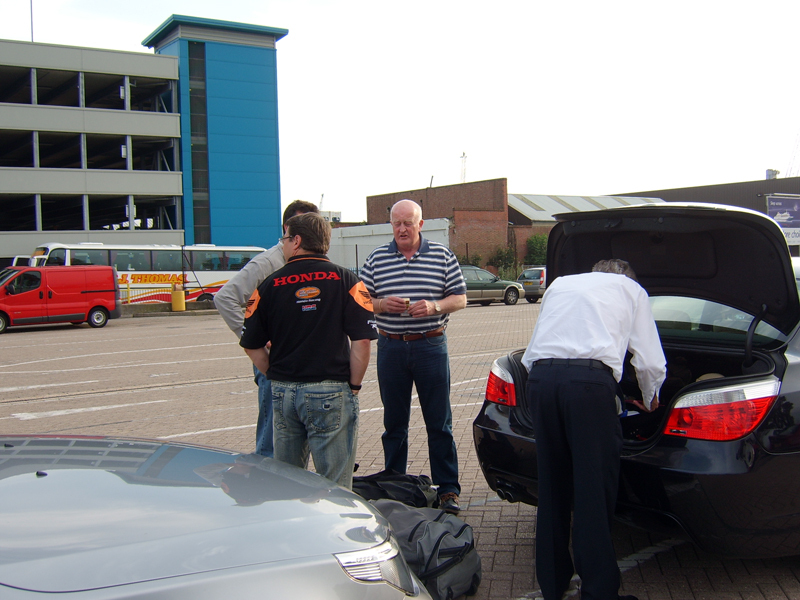 remains and I joined Martyn, in his 5-Series, as did Alan and Jim. Robert and Jonathan went with Ian, while Jeff, Jeremy and Brian accompanied Nick. We were soon saying our farewells to Carol and to Richard, who, as usual, had wandered across from his home to see us off. 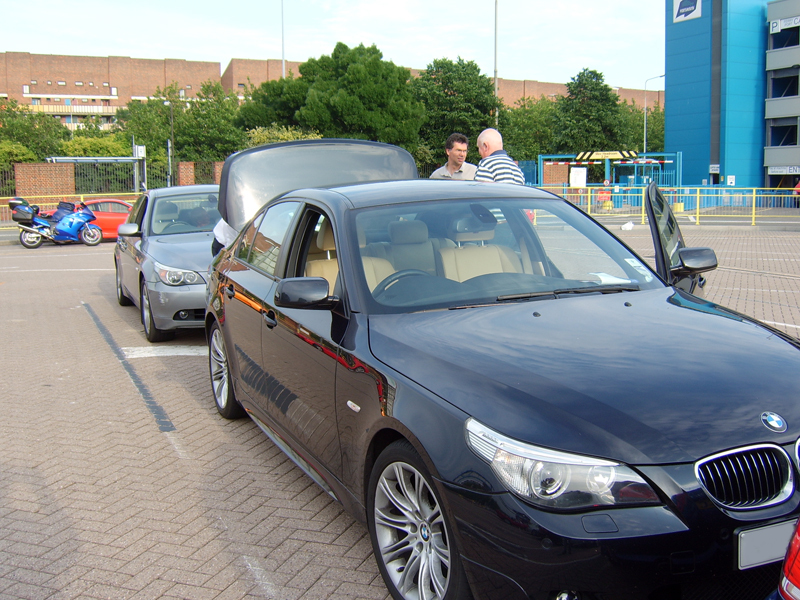 The journey to the ferry port at Portsmouth was as straightforward as these journeys always are and we were soon pulling into the petrol station outside the terminal to fill up. From there it was just a short journey inside the terminal to join the queues waiting to board the ferry. It was at this point that we realised that we had a slight problem in Martyn's car. 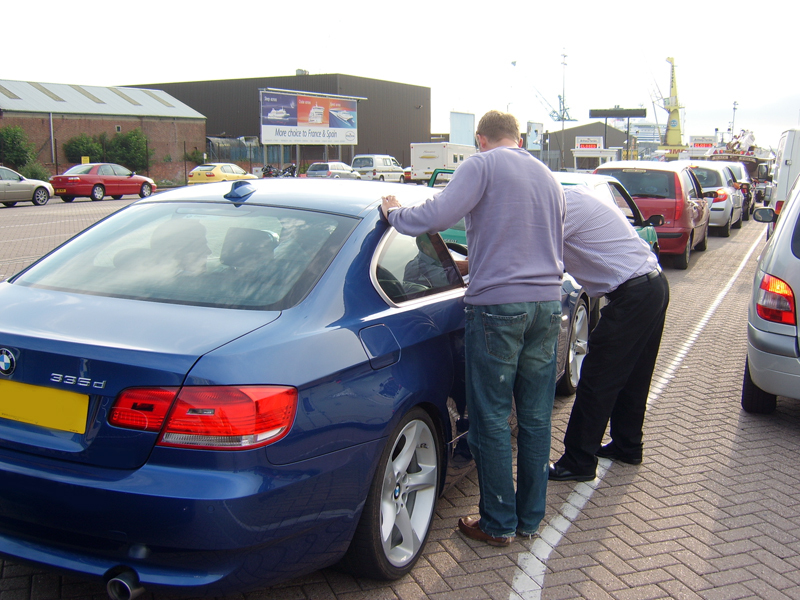 There were four of us in the car, but the Brittany ferries ticket allowed only three passengers in that car. 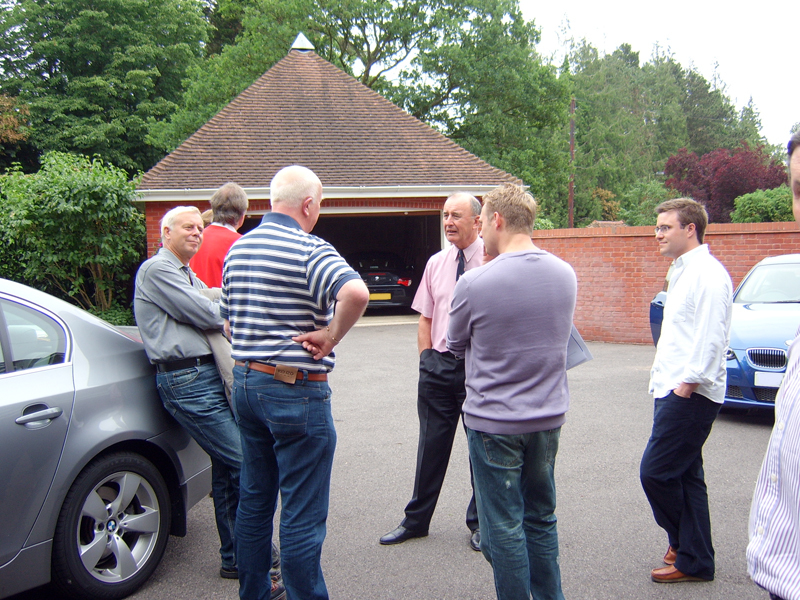 So one of us from Martyn's car needed to join Ian, Robert and Jonathan. So I jumped out and joined Ian and the others in his car and we all passed safely through the checkout and onto the second queue. 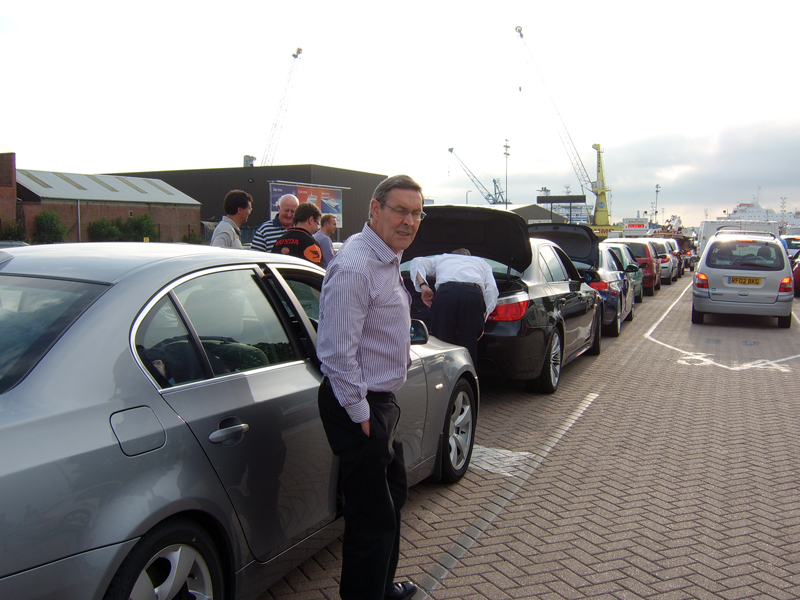 As is so often the case at the ferry terminal, we passed from the first queue to the second very quickly, but were then held for what seemed a very long time waiting to finally board the ferry. The ferry had been due to sail at 8:30 p.m. for St. Malo, but by the time we got on, it was clear that it wouldn't get away before 9 p.m. Having said this, we all knew that at night, the ferry would easily make up the time. But we were soon on to the ferry and off in search of our cabin. Fortunately, unlike last year when our cabin was deep in the bowels of the ship, this year it was just one deck down from the restaurant. And as the restaurant was likely to be our second port of call, that was really very handy. The four of us from Ian's car stowed our bags and then walked back up that one flight of stairs one deck to the restaurant where, to our surprise, we were able to book a table for 11 straight away with no difficulty. We were soon joined in the restaurant by Jeff, who was the advance "scout" for Nick's car. 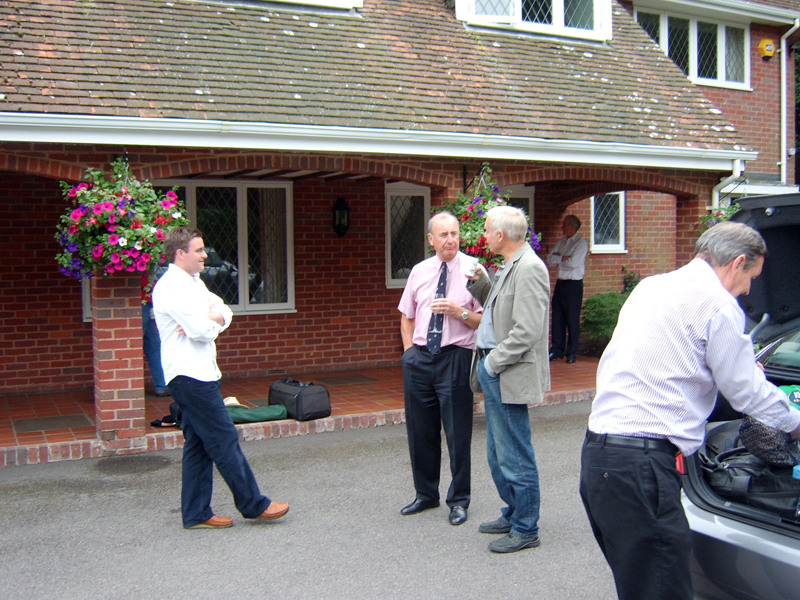 Martyn, Alan and Jim also arrived, however they had rather more of a problem. 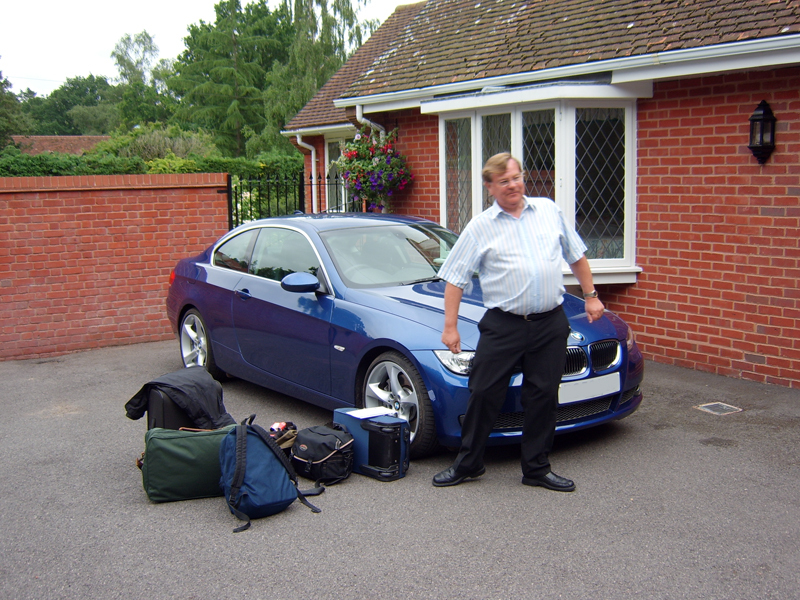 Not only had the ticket for Martyn's car specified only a driver and two passengers, they had now discovered that they only had a cabin for two persons. That meant we had only cabin space for 10 people. Martyn and Ian went off to see if they could change the two berth cabin to a four berth cabin, however they soon returned having been unsuccessful - there were no free cabins left. They had however managed to obtain a couchette seat and Jonathan kindly agreed to give up his berth in Ian's cabin so that everyone else would have a bunk. By this time, Nick and the rest of his party had made their way to the restaurant and we all sat down anticipating a splendid meal. Those of you who have read my story from 2006 will know how delighted we were with the buffet meal on the journey across last year. 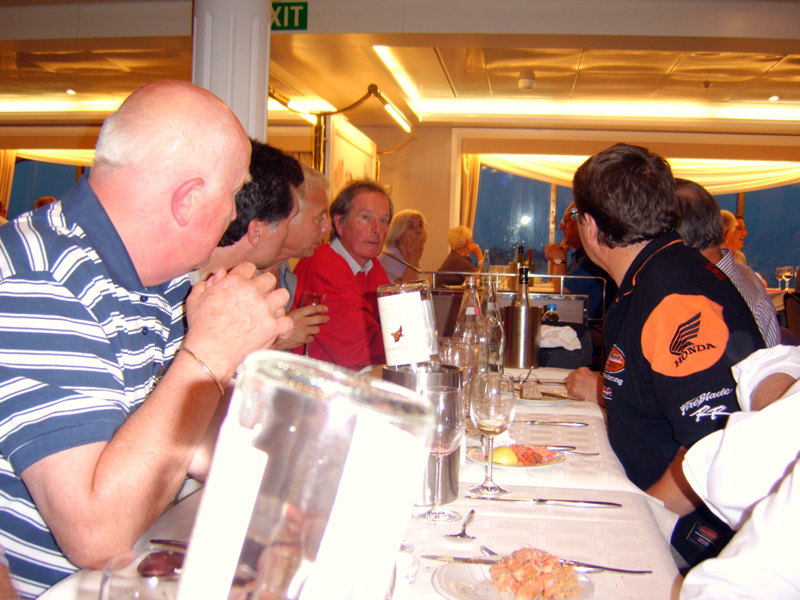 Of course, we were travelling with Brittany ferries again, and although this was a different ferry, the buffet spread was just as good. So, we enjoyed an excellent meal, plus the odd glass of wine (!) before retiring to the bar. Ian and I had our first calvados of the weekend however we noted with some concern that the rain had returned again. After a drink or two which took us to about 1:30 a.m. French time, we all returned to our cabins (except Jonathan of course), in order to get a few hours shut eye before we arrived at St. Malo in the morning.